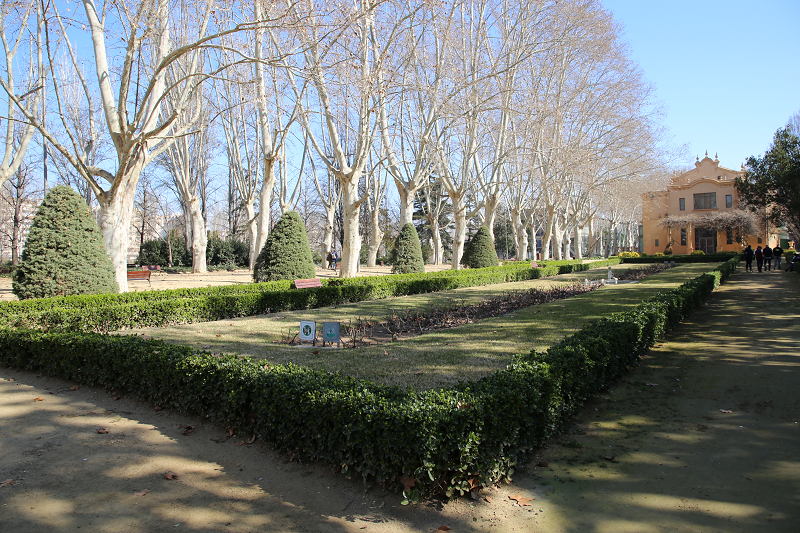 Its extensive municipal district, the largest and most populated in the comarca, is formed by the city, the decentralized municipal entities of Raimat and Juices and 56 partides (sections of rural terrain around the city). 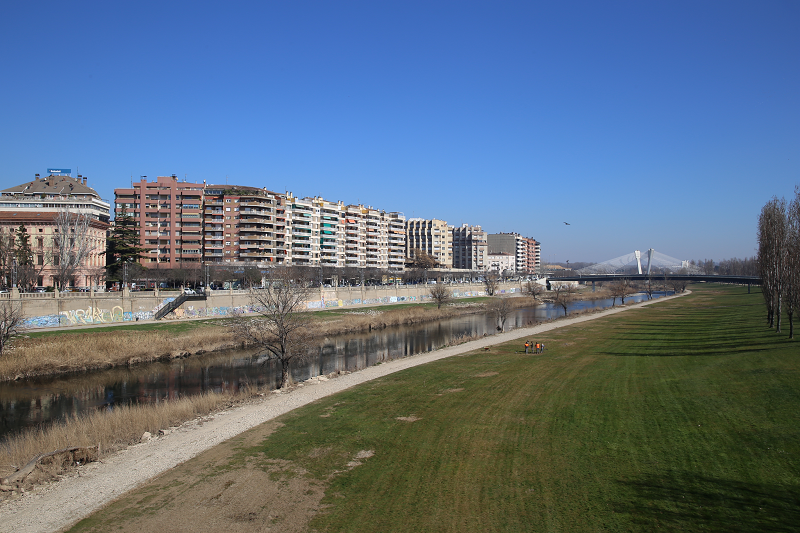 The partides closest to the city make up the Horta de Lleida. It is within the functional area of Ponent or Lleida. 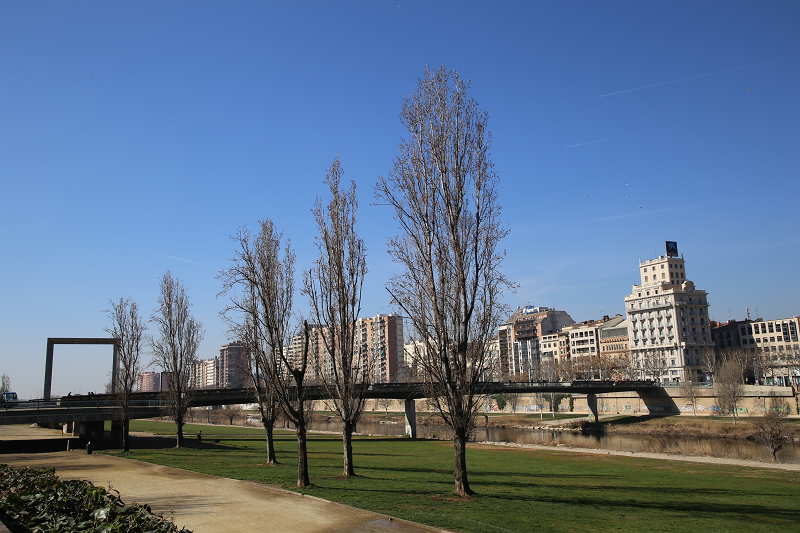 The city of Lleida has 137,327 inhabitants (data from 2018). The city houses historical monuments such as the Seu Vella, or the Conjunt Monumental of Gardeny, which are visited every year by hundreds of thousands of tourists. The main motor of Lleida’s economy is the service sector (77.1% of the GVA of 2001), followed by construction (10.6%), industry (10.1%) and agriculture (2.1%). The city is formed around a hill located on the banks of the River Segre. 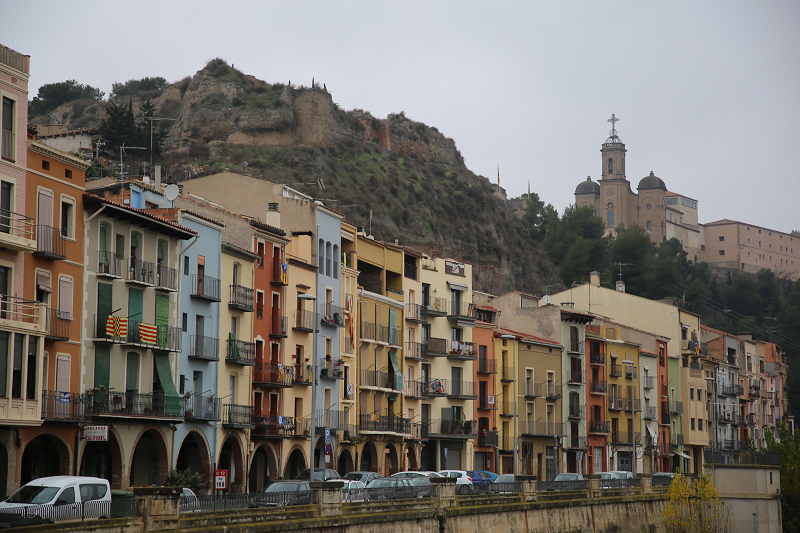 This hill is known as the hill of La Seu, as La Seu Vella is located there. It stands at 154.65 m a.s.l. (measured on the porch of the catedral Nova). The municipality is located in western Catalonia, in the central depression, within the functional area of Ponent and the subcomarca of Pla de Lleida. It extends on both sides of the river Segre, which along with the Noguerola river form the only water route of the municipality. 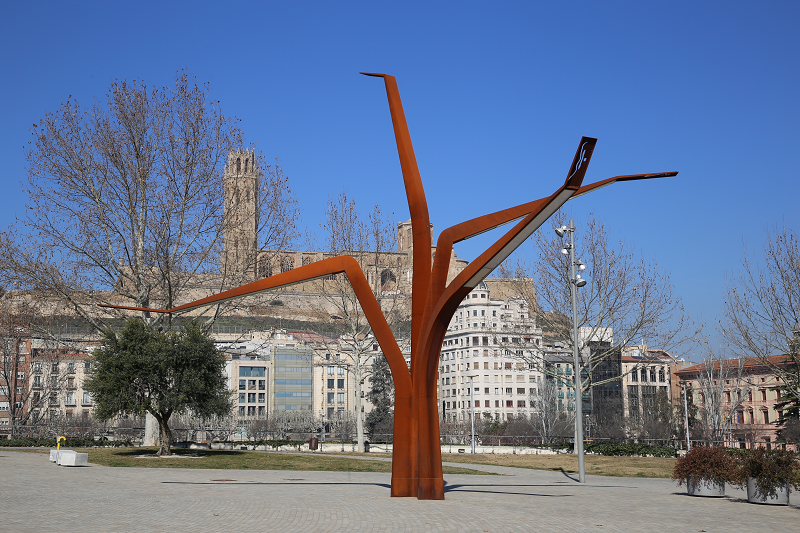 Lleida has long been a city where communications networks come together. This situation would explain, in part, the reason for the greater development of agri-food industries here, as it is one of its most important centers in Catalonia and even in Europe. Companies like San Miguel, Nanta, Vall-Companys, the Alimentaria Guissona Group, Indra and Ros Roca have factories here. This region, far from political divisions, includes all the functional area of Ponent and much of the Franja. 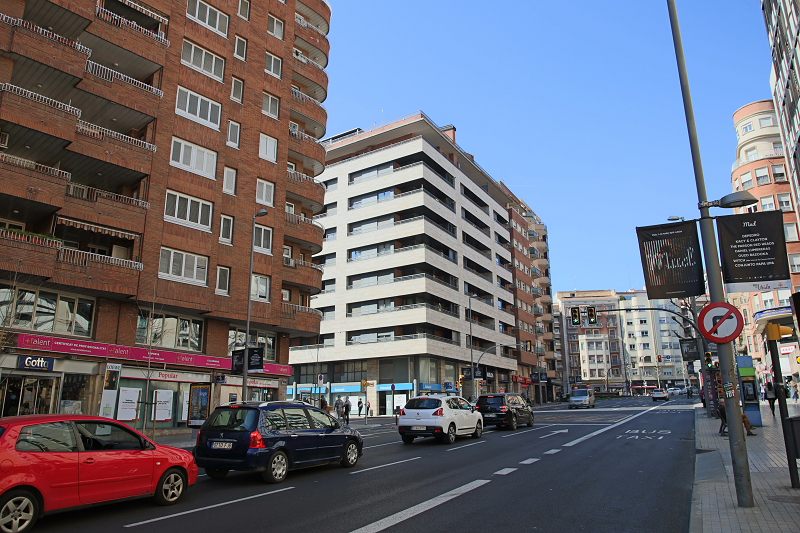 In a wide area that includes the regions of Lleida and some of Aragon Lleida is an important center of services, and it is the city of reference in terms of hospital care, educational centers, cultural and leisure activities, etc. 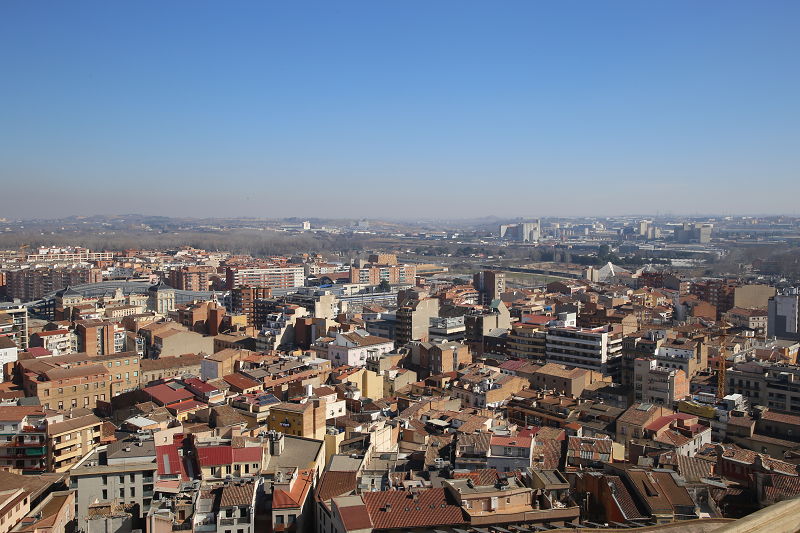 According to an economic study, the area of commercial influence of Lleida has 494,435 inhabitants. The Lleida Agri-Food Science and Technology Park, created in 2005, was born with the intention of becoming one of the main scientific and technological platforms in the agri-food sector throughout Spain and being a pole of innovation capable to attract technology-based companies. 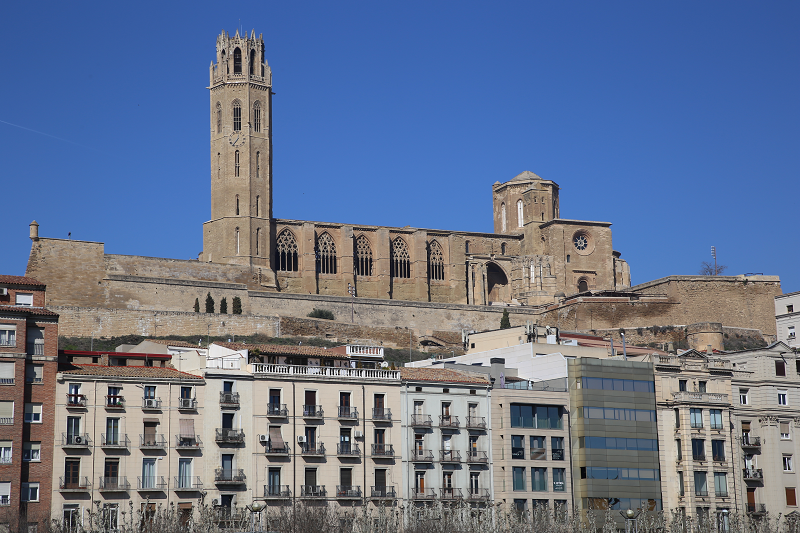 The history of Lleida has evolved around the hill of la Seu, since it has always been the place where the representative infrastructures of the social control power have been located: the Andalusian fortress (La Suda) and the mosque, and later the cathedral (La Seu Vella). The hill was, moreover, a good defense place from possible attacks, and soon it was surrounded by walls. These were no longer useful with the arrival of the industrial and demographic revolution of the 19th century. 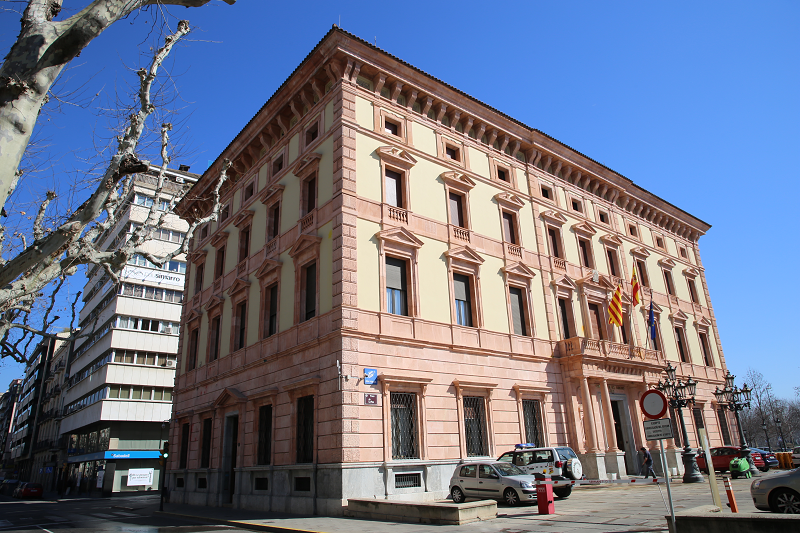 The politics of the city of Lleida, since the transition, have been clearly dominated by one party, the Socialist Party of Catalonia, since they have always ruled the city, except for the period between 1987 and 1989 in which there was a government of CiU with Manel Oronich as a mayor. Also worthy of note are the figures of the two main mayors of the city: Antoni Siurana, mayor from 1979 to 2003 and Àngel Ros, from 2003 to 2018. ● La Seu Vella or the old cathedral: the symbol of the city, it is the temple that is located on the hill in the center of Lleida. 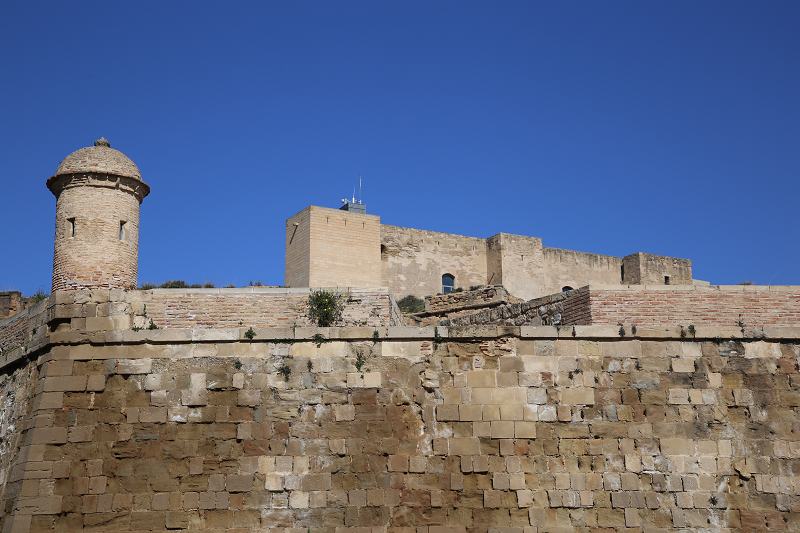 ● The Castle of Gardeny, a monumental complex of the Knights Templar of Gardeny. ● The Paeria palace, seat of the Paeria de Lleida (town hall of Lleida), from the 13th century, among many artefacts of interest, it conserves the armari de les cinc claus and the altarpiece of the Virgin of the Paers. ● The new cathedral or Seu Nova, from the end of the 17th century, of Baroque style, built on an old city granary. 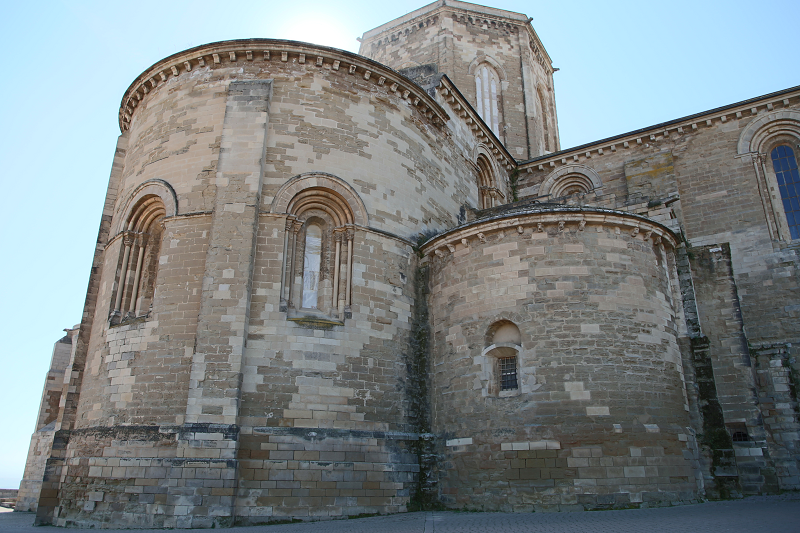 ● The church of Sant Llorenç, of Romanesque style, from the 13th-14th-15th centuries. ● The former hospital of Santa Maria, home of the Institut d’Estudis Ilerdencs (en. Institute for Lleida studies). 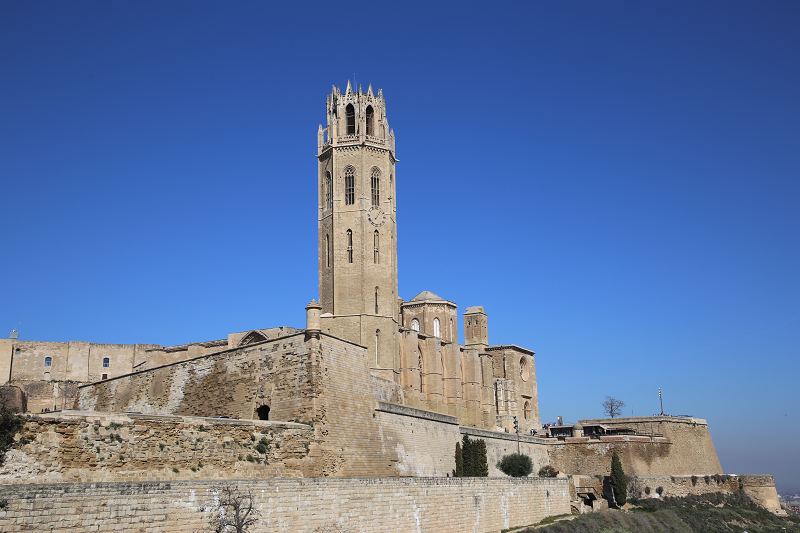 ● The church of Sant Martí, from the 12th century. ● The church of Sant Joan, neo gothic style of the late 19th century. ● The building of the Seminari, seat of the rectorate of the University of Lleida. ● The palace of the Diputació de Lleida, from 1789. ● The chapel of Sant Jaume, from the 14th century. ● The Chapel of La Sang, of Renaissance style, from the 16th century. 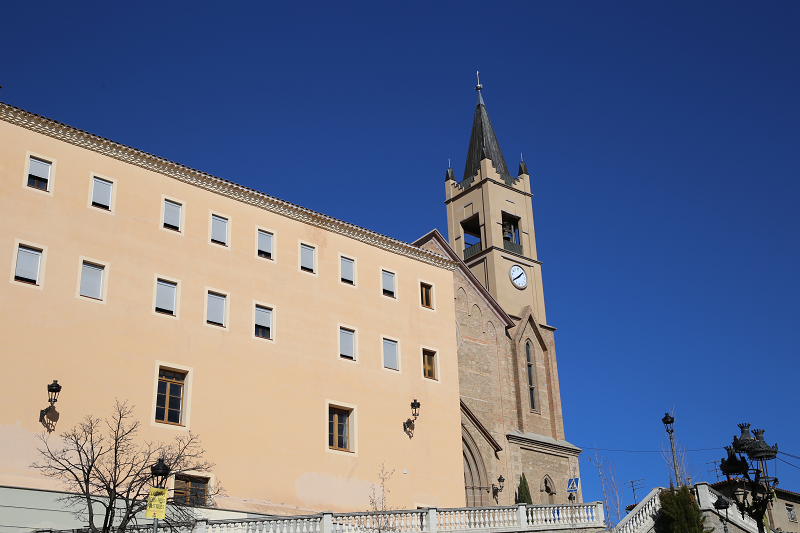 ● The 18th century baroque church of Sant Pere Apòstol, where Gaspar de Portolà is buried. 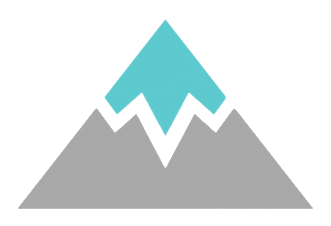 ● EMD (en. minor local entity) of Sucs, with the historicism church from the 20th century and the archaeological ruins of the Vilot park. ● The Suquets church, of final tendencies of the 19th century. ● The Carme church, built between 1954 and 1959. 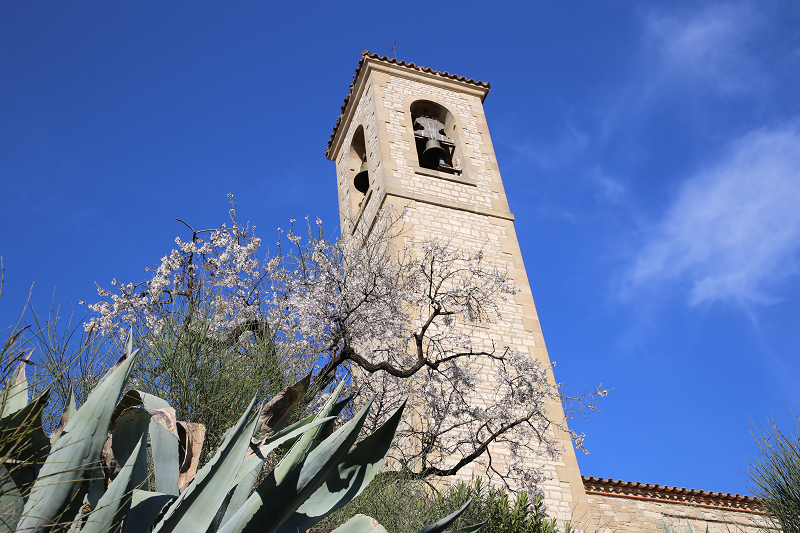 ● The sanctuary of Sant Antoni de Pàdua, from the 20th century. ● The oratory of the Dolors, from 1724, with the image of Our Lady of Sorrows. ● The Mariana Academy, from 1862, with a neoclassical façade and a noucentisme vestibule. ● The former convent of Santa Clara, early 18th century and the seat of the castellers of Lleida, the choirs Shalom and the Sícoris Club. ● The convent of Santa Teresa, from 1673. ● The convent of El Roser, construction begun in 1669. ● The convent, parish and sanctuary of Santa Tereseta, from the 18th century. ● The remains of the monastery of Sant Ruf, from the 12th century. ● The statue of Indíbil and Mandoni: bronze statue located below the arch of the Pont. ● The Jutjats building, of singular architecture. ● The elevator of the Seu Vella, that communicates the commercial axis with the hill of la Seu. ● The auditorium Enric Granados, a multipurpose musical space that houses eight resident groups. ● The Congress Palace – the Llotja de Lleida. ● The Lleida’s train station, from 1860, of French style. 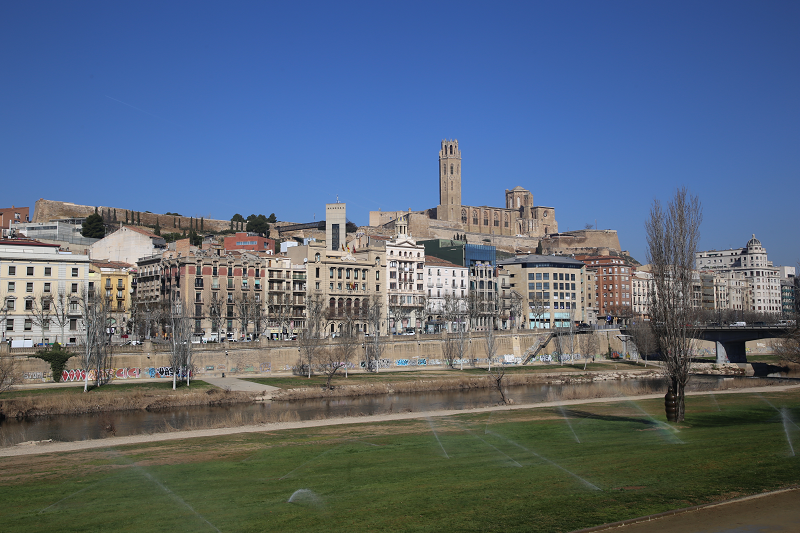 ● The monumental fountains of Lleida. ● The bridge of Prince of Viana, is cable-stayed and unique in the world with the towers open to the outside. It also offers a beautiful night lights. ● The Sauces house, from 1808, with a neoclassical style. ● The carrer Major and its branches, several streets full of shops. 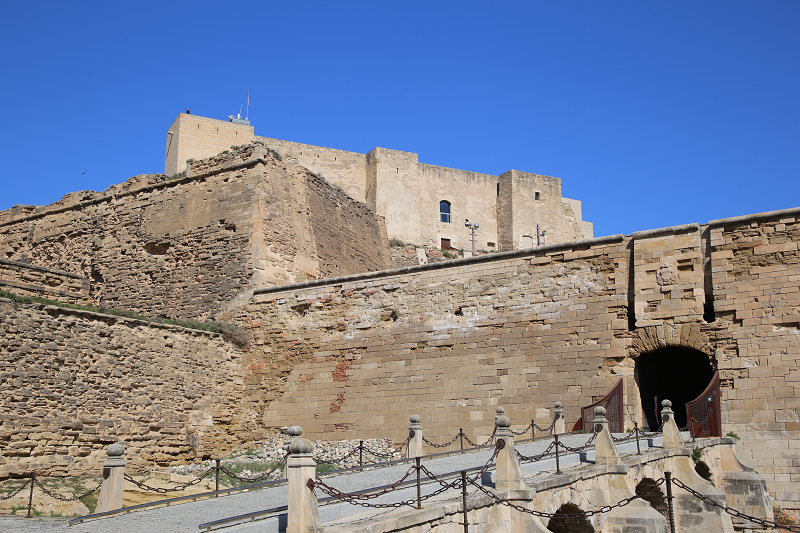 ● The Sant Martí street, which leads to the foot of the Seu Vella. ● Carme Street, former Aluderia. ● The Rambla de Ferran, from early 19th century. 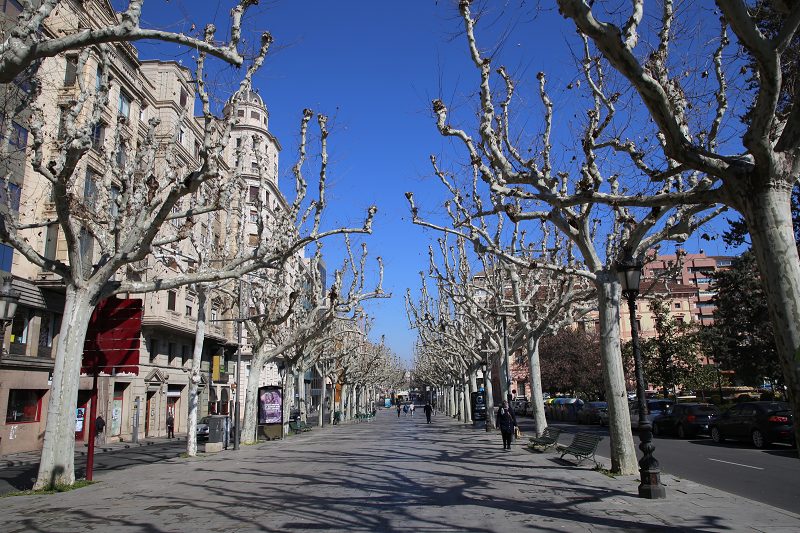 ● The Rambla de Aragon, at the foot of the old walls. ● The Sant Joan square, which already existed in 1149. ● Plaza de l’Ereta, with its origins in the 13th c.
● The Plaza del Dipòsit and its buried tank. ● The square of San Francisco, monumental viewpoint. ● The Sant Josep square, dated to around 1200. ● Centre d’Art la Panera (contemporary art center, with temporary exhibitions, activities, library …). 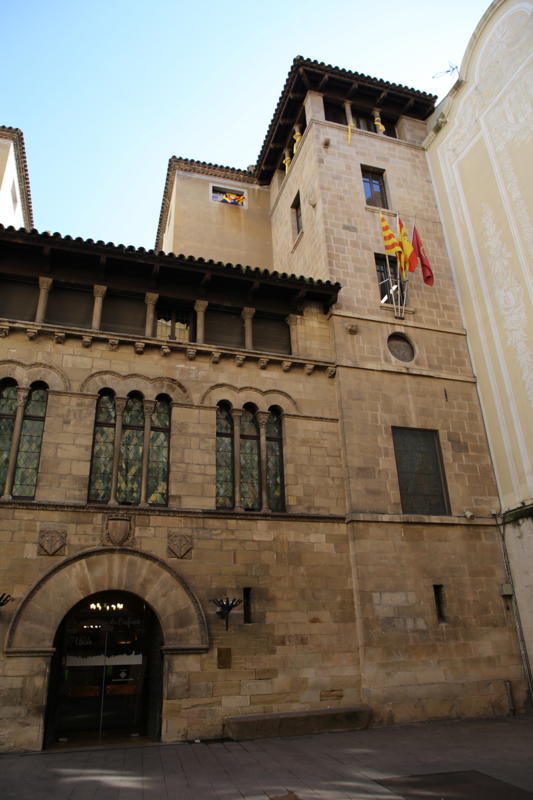 ● The Casa Misericòrdia, home of the Diocesan and Regional Museum of Lleida. 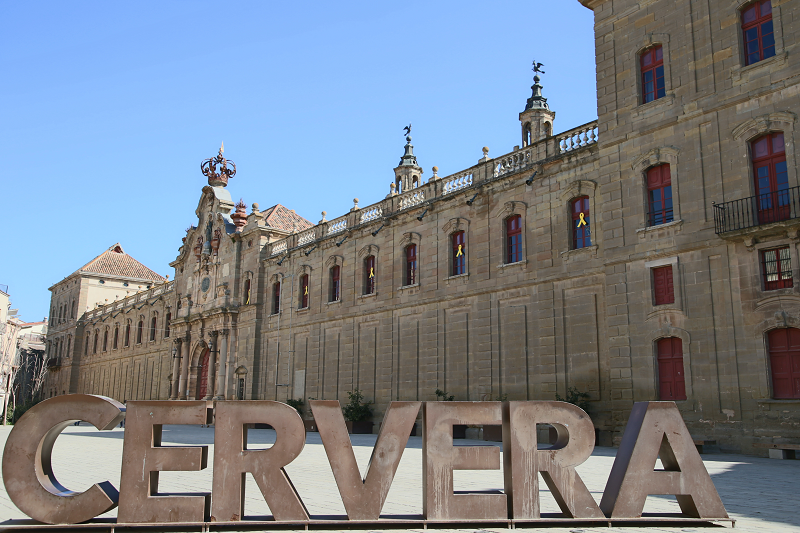 ● The Jaume Morera Art Museum. ● The Sant Joan hall. ● The Archaeological and Art Museum of the Institute for Lleida Studies. ● The Museu de l’Aigua Lleida. ● Museum of Science, Environment and Climate (under construction). ● The portal of Magdalena. ● Teatro del Escorxador (1918), designed by Francesc de Paula Morera i Gatell. ● Old Cinemas Vinyes (1920), the facade shows a mixture of styles between Modernism and Noucentisme. ● Aquarium (1915), designed by Francesc de Paula Morera i Gatell. ● Casa Baró (la Vinícola), from 1921 and designed by Joan Bergós. 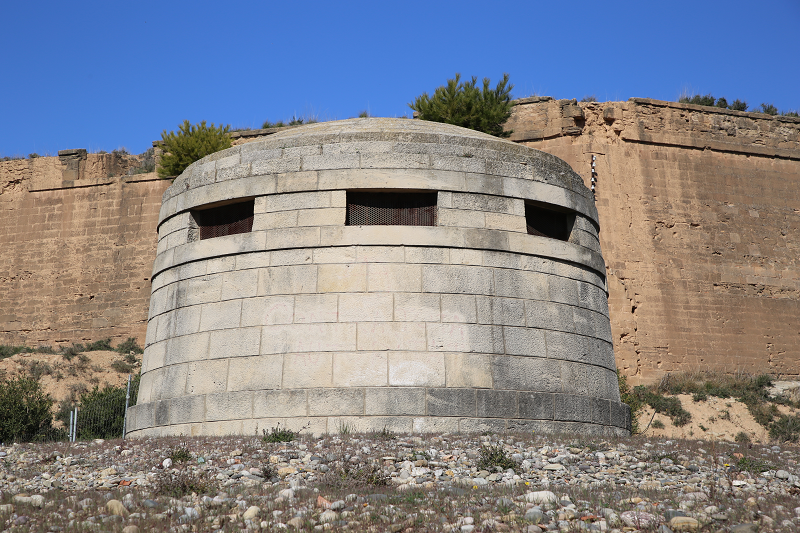 ● Casa Magí Llorens (1905), named as the Lleida quarry, designed by Francesc Lamolla i Morante. 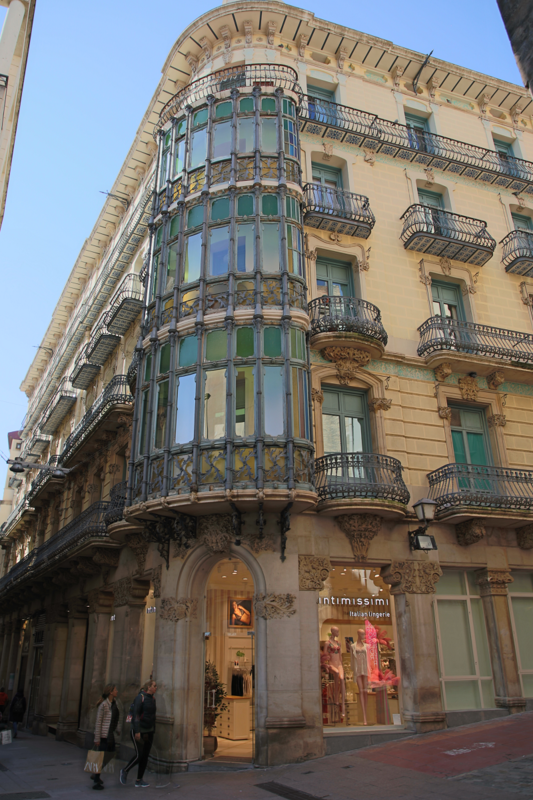 ● Casa Melcior (1910), designed by Francesc de Paula Morera i Gatell. ● Casa Bergós (1906), designed by Francesc de Paula Morera i Gatell. ● Casa Xammar (1920), designed by Francesc de P. Morera i Gatell. ● Cases Balasch (1914), designed by Francesc de Paula Morera i Gatell. ● Former Hotel Pal•las (1912), designed by Francesc de Paula Morera i Gatell. ● Farinera la Meta (1913). ● Mercado del Pla (1920), designed by Francesc de Paula Morera i Gatell. ● Cellar de Raimat (1918), designed by Joan Rubio i Bellver. 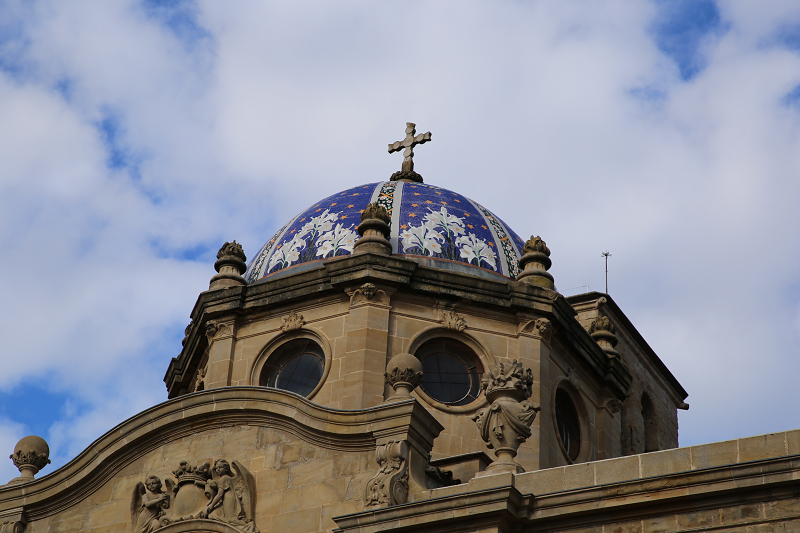 ● Sagrat Cor de Raimat Church (1916), designed by Joan Rubio i Bellver. ● Houses of the colonos of Raimat (1918), designed by Joan Rubio i Bellver. ● Chalet Vila Remei (1924). ● Pantheon of the Count of Torregrossa (1912), designed by Francesc de Paula Morera i Gatell. ● Sant Francesc square (1920), designed by Francesc de Paula Morera i Gatell. 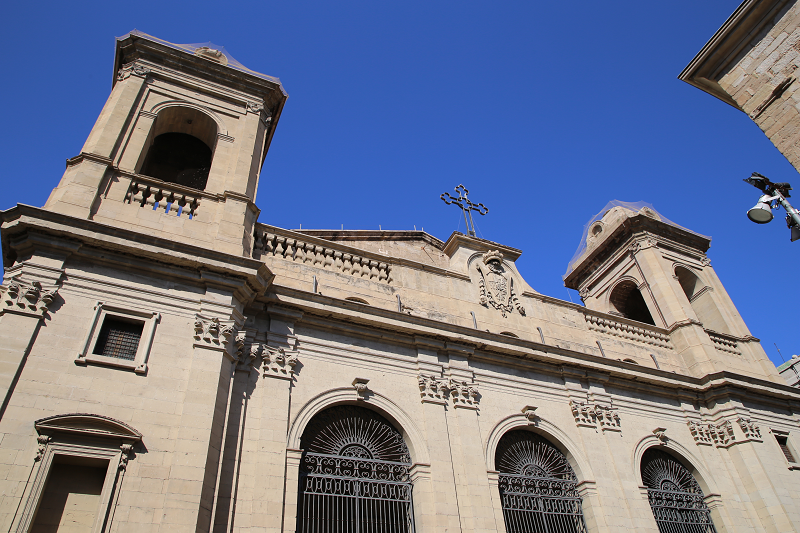 The Festa Major de Lleida is celebrated on May 11 in honor of its patron saint Anastasi, a Roman soldier born in Lleida who was martyred in Badalona by order of Diocletian in 303. Within the May holidays, it is necessary to mention the recovery of the Moors and Christians Festival, which was recorded already in the 12th century and included 12 editions. 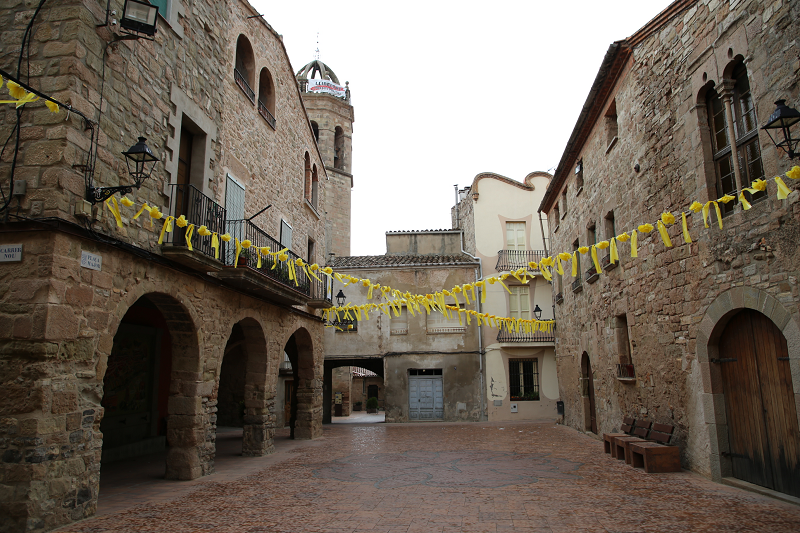 Fiestas that coincide with the festival of Sant Miquel and with the agricultural fair that bears its name. ● Latin American Film Festival is a competitive event that takes place during the month of April, and as all film festivals, apart from the Official Competition Section, it incorporates retrospective sections and new proposals. The Aplec del Caragol is a gastronomic festival organized around the snails cuisine, and is celebrated in the city of Lleida at the end of May. The gathering brings together thousands of people around the table, to taste the most traditional dishes of Lleida cuisine. All this is completed with numerous parallel acts. The gathering started in 1980 with only 300 people (about 12 groups), it was very improvised, informal and lacking infrastructure. But, already, in its second edition it included a parade through the streets of the city of Lleida and presented a certain organization. In 2007, 210,000 people participated in the three days festival, and 12 tonnes of snails were consumed. Currently, the gathering is a great celebration known in the country and Europe. In 2002, due to its relevance, the Aplec del Caragol festival was declared by the Generalitat of Catalonia ‘Traditional holiday of national interest’, and in 2004, commemorating its 25th anniversary, the Spanish government declared it ‘Festival of National Tourism Interest’. The Gothic chapel of the Peu del Romeu (13th century), located on Carrer Major, commemorates the passage of the apostle Saint James through Lleida, where, according to a legend, the apostle got a thorn stuck in his right foot, walking at night, but an Angel with a lantern appeared and gave him light so he could take it out. On the afternoon of Sant Jaume the children of Lleida remember this story, by going with a lantern-lit procession to the Seu Nova, which gives this religious procession a special character of celebration and festivity. The processional passage includes a wooden image of the Apostle, accompanied by the city’s gegants and the main authorities. The Fira de Lleida is a private foundation in charge of organizing fairs and congresses in the city of Lleida. Its foundation dates back to 1946. Every year, some 22 activities are celebrated, among them, the Agrarian Fair of San Miguel is worth mentioning, which is celebrated coinciding with the festival of San Miguel and which already had 53 editions. 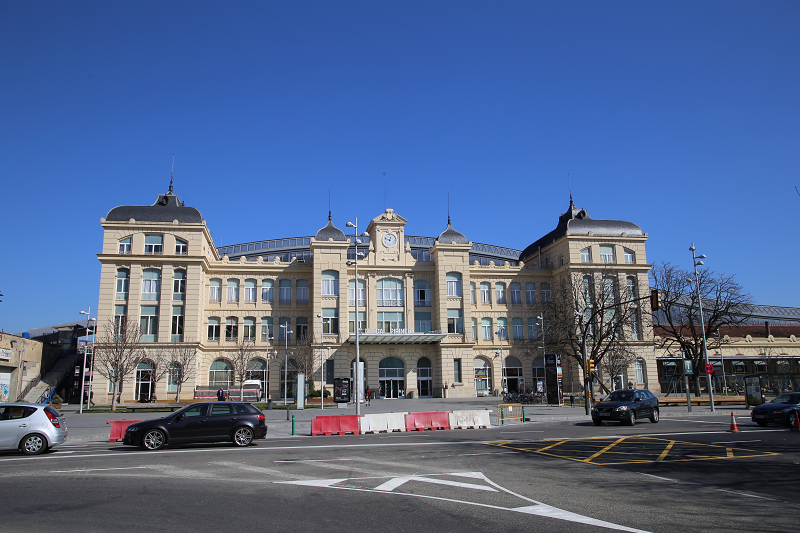 Fira de Lleida is the second Catalan fair institution, after Fira de Barcelona, and to promote this market and favor the so-called ‘congress tourism’ Lleida in 2010, opened the Llotja de Lleida, a building that functions as the palace of congresses and theater. 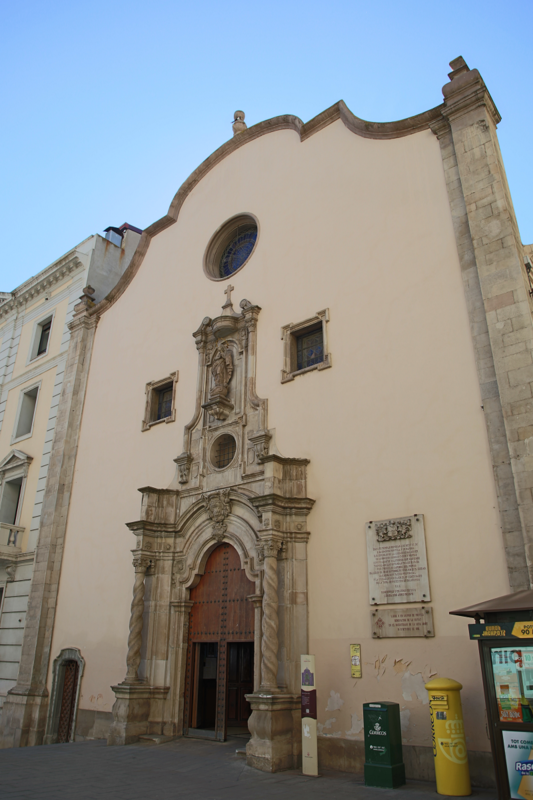 In the mid-nineteenth century a municipal band already existed, led by the composer Francesc Oliver i Aymauri, an organist of the church of San Joan. The city has a band, the Municipal Band of Lleida, founded in 1996 under the direction of master Amadeu Urrea. Normally the band is formed by sixty musicians. We also find here the Julià Carbonell Symphony Orchestra of Les Terres de Lleida, directed since 2002 by Alfons Reverté Casas and based in the Enric Granados auditorium in Lleida. 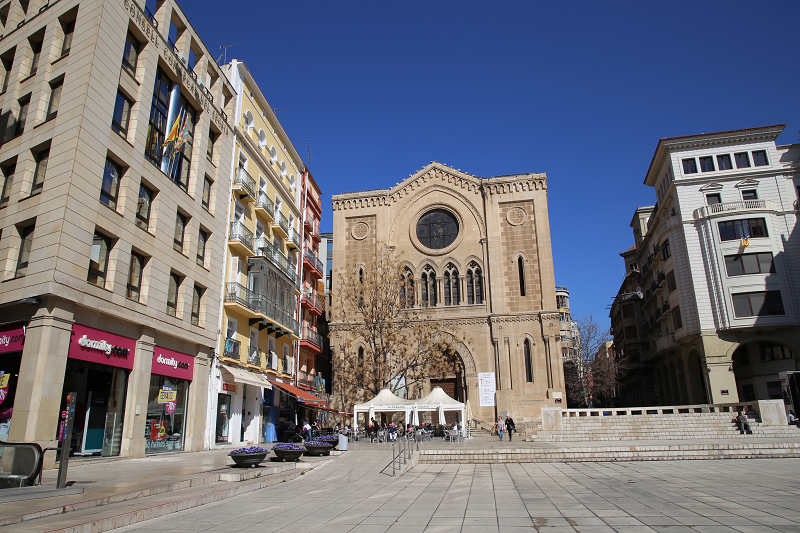 Lleida has several concert halls, including the Cotton Club and La Boite, and the Epap, Stones, Line, Les Paul, etc. pubs, which also offer live musical performances. 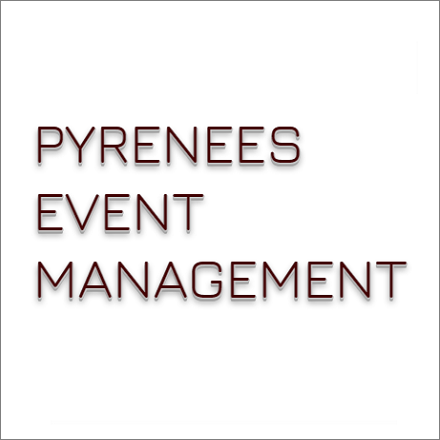 La Paeria organizes a contest for new musical talents every year, called ‘Directe’, the main prizes are performances in the great stages of the spring and autumn festivals. The Pepe Marín Rock Festival is a musical contest aimed at the new talents of rock music, in all its variations. Already in 1940, just after the Spanish Civil War, the first Floral Games were organized in Lleida, although because of the circumstances it was prohibited to perform in Catalan. The city slowly reconstructed a well-developed theatrical tradition, both in semi professional theater and amateur. In these categories, we can mention the Teatre Estable de Lleida and Teatredetext, dedicated entirely to the theater, while Xip Xap, The Sidral and La Pasterada are dedicated more to animation. Among the various amateur groups, there is AEM Teatre and the Talia Dramatic Circle. All this activity took shape in the creation of the Municipal Theater Aula. On December 29, 1951, a group of forefathers of Lleida, in response to a public competition opened by the Paeria, inaugurated the Teatre Principal in the middle of the Carrer Major next to the square of San Juan. More than half a century later, it continues to offer theater, film and opera sessions, with a stable program. On October 8, 1998, the new Escorxador Theater opened, inaugurated a year later, with two rooms dedicated to the performing arts, which gave even more impetus to the Lleida theater. With the Llotja de Lleida, opened on January 21, 2010, the city gained one of the three most important scenic facilities in Catalonia, along with the Liceu and the TNC, thus becoming the most important theater outside Barcelona in terms of capacity, with a total of 1,600 seats. The Titelles Centre de Lleida (Puppets center) was created in 1986 with the ambition to combine elements of drama, learning, fact and social dynamism around the puppets. With the future Puppets Museum that is currently in development, the center will offer to the public a unic space in Catalonia. The International Fair of Puppets Theater in Lleida started in May of 1990, thanks to the effort of the Poppets Center of Lleida and the support of Paeria. It proposed to become a marcet platform for the Puppetry profession and artistic promotion. Twentysix editions, with 20 to 30 theater companies on average, the performance of not less than 70 public sessions, the presence of more than 300 professionals and the attendance of nearly 30,000 people in the 2014 edition, make this fair a model one in Catalonia. Best restaurants are located in the center of the city. 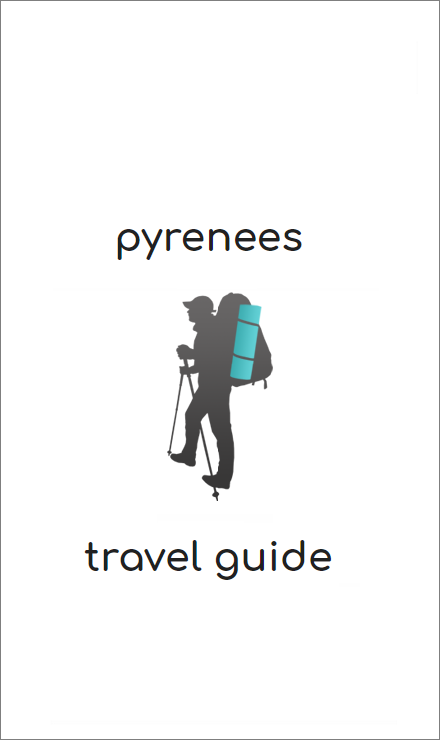 How to get to Lleida?